Today’s HPC workloads require an ever-increasing amount of power and cooling and traditional data centers are simply not designed to support this load. Nor-Tech now offers the Dynamic Density Control™ (DDC) platform to clients needing to ensure optimal cooling and hardware performance. DDC is a high-density, high-efficiency cabinet technology platform for the most demanding AI, deep learning, and HPC workloads. DDC cabinets scale from 1kW-52kW dynamically, with a PUE of 1.1 or better which ensures maximum efficiency resulting in cost savings for the client. 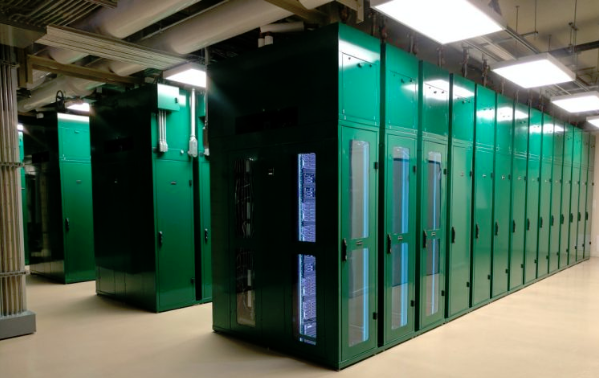 DDC cabinets are available wherever the needs exist—in ScaleMatrix’ high-density data centers or on the client’s premise or edge. DDC cabinets are modular, making their deployment to existing facilities simple and fast. Live Chat now to find out more.